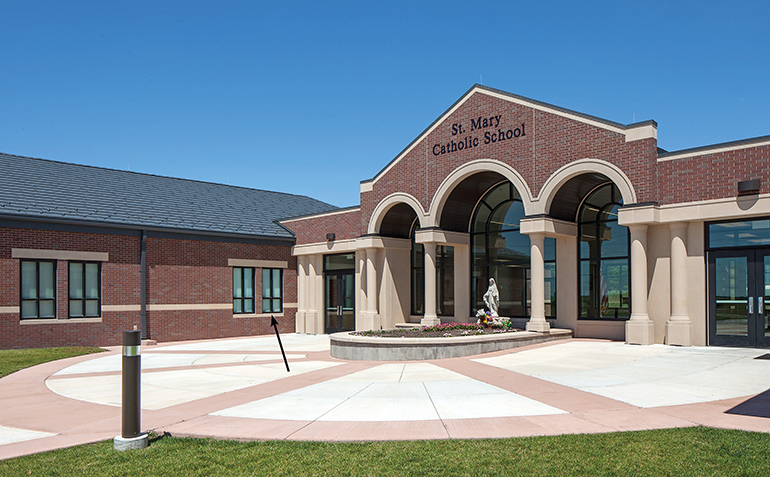 Though the people of southwest Missouri are certainly familiar with severe weather, on the afternoon of May 22, 2011, everything changed for the parish of St. Mary’s Catholic Church and School in Joplin, Missouri. A catastrophic tornado swept through the town, leveling the entire parish facility with the exception of the church cross. The trauma of seeing the entire parish campus destroyed by a tornado left Father Monaghan and the members of St. Mary’s overwhelmed, but determined to rebuild a place of safety and peace of mind. Today that cross still stands, and the parish has resurrected itself with a new church and school designed to strengthen the parish identity and faith. Much of the United States labels itself by what is commonly referred to as “Tornado Alley” while areas of the southeast and northeast are equally impacted by hurricanes. You might ask, where is Tornado Alley really, and is my area affected? Records of tornado activity actually show that all of the United States, from the Rocky Mountains eastward, can expect these weather extremes. As busy as most of us are, we tend to spend a much of our time in buildings outside our homes during these weather events. Sadly, the Joplin Globe reported that 32 percent of the Joplin tornado casualties occurred in non-residential areas. A frequent concern shared with architects at RDG Planning & Design from congregations and their building committees is the ability to provide an area of safety from severe storms for large numbers of people. Given how much of the U.S. is affected by extreme weather, this is an important consideration. But this is a tougher issue than one might think, as these spaces must be quite large and the financial resources collected to build a church or synagogue are typically less than desired. Additionally, faith communities have the task of stretching a building project as far as practical in order to provide enough space for continued growth. Though it is not the mission of the congregation, it’s often said that “You need the space to get the people to pay for the space”. Because of that, a storm shelter is frequently left on the cutting room floor as the available funds are matched to higher building priorities. Next, in order to work with model building codes and to be adopted by local jurisdictions, the ICC 500 (2008), the Standard for the Design and Construction of Storm Shelters, was developed. 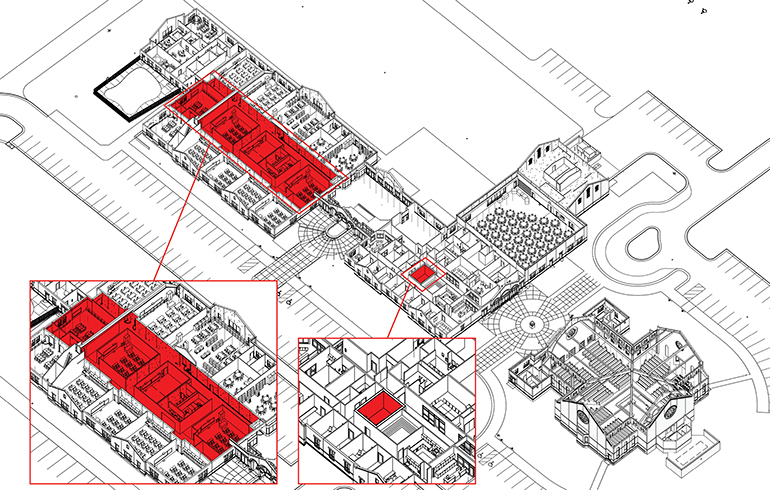 It is a near duplication of the FEMA documents but gives building officials a standard for a safe room to which architects and engineers can design. Also, beginning with the 2009 International Building Code (section 423), a designated “storm shelter” shall be designed according to the guidelines on the ICC 500. With the aid of these documents, the enclosing walls and ceiling, foundations, window or door openings, and ventilation, among other elements, can be designed to resist high winds, pressure changes, overturning of the building, and most importantly, protection from flying objects that can be driven through small openings and even through walls. 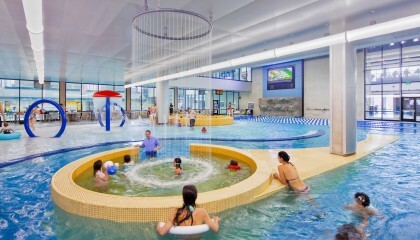 The services of a knowledgeable architect and structural engineer are of utmost importance. Some of the obvious questions are: Does a storm shelter need to go underground? What will it cost? How does my congregation pay for this? To answer that, let’s look at a typical building project. Large churches (which are most likely to be expanding their facilities or building new buildings) are generally defined as having attendance of 300-2,000 worshippers. The seating capacities for places of worship within these churches are most typically 300 to 1,000. 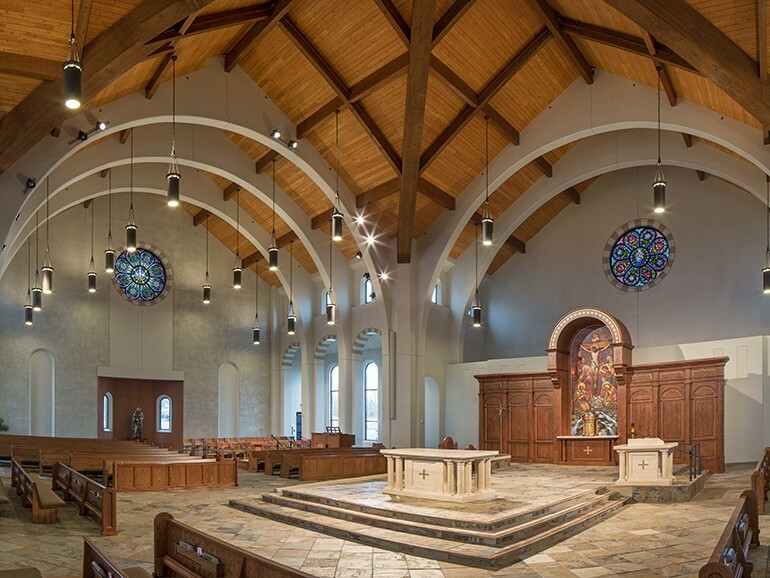 Taking a mid-range number, a worship space for 750 people will require between 9 to 13 square feet per person, which equates to a 7,000 to 10,000-square-foot room. For an accompanying tornado shelter, FEMA recommends 5 square feet per person and 10 square feet per wheelchair-bound person (considering approximately one wheelchair for every 200 occupants) – this produces a space of 3,770 square feet for the example given and equates to approximately 1/3 the size of the main worship space. Hurricane shelter design requires even more space per person, roughly doubling the square footage requirement per person to approximately 10 square feet. Underground approaches are not as cost-effective as they may seem, especially for a room as large as 3,770 square feet. 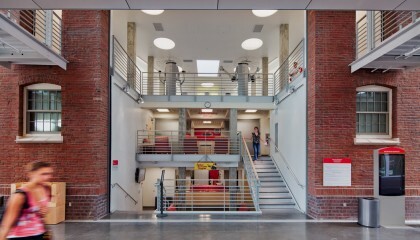 Elements such as multiple required stair exits, elevators, and assembly live-load sizing of structural elements at the floor or the ceiling above, reinforce this author’s preference for another approach. 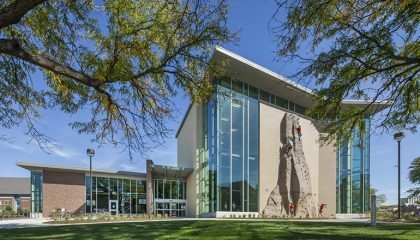 RDG Planning & Design has successfully created above-ground storm shelters out of a portion of the building that has also been assigned another function. Safe room windows appear similar to all other windows on the building. Shelter doors and wall separating education rooms from interior safe room. Examples include building a fellowship or parish hall to serve as the shelter by splurging on the cost of concrete walls and roof deck, ballistic resistant windows and doors or storm shutters. 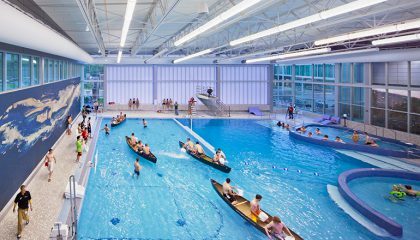 This allows an unobtrusive space that lets natural light into the space while still protecting the occupants during a storm event. Another approach is turning interior corridor space between education rooms into the safe room, meeting FEMA standards for the entire school population and church simultaneously. The walls separating classrooms from corridors protect the students in two directions. 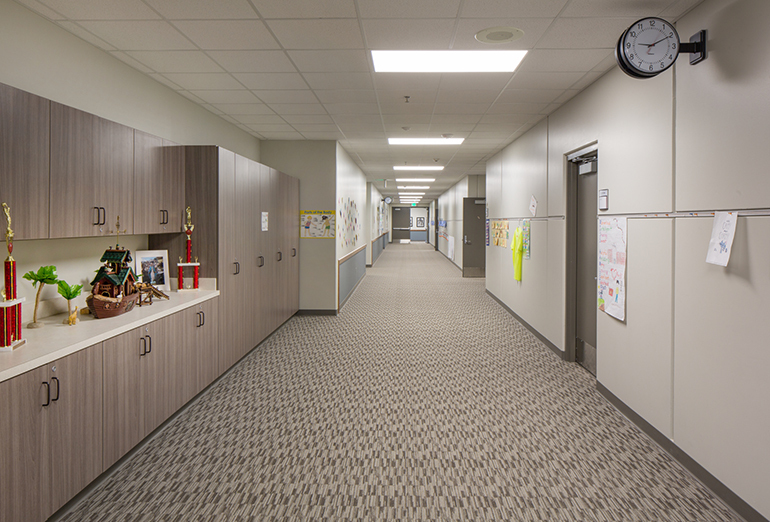 First, by stepping into the corridor from the classroom and by closing the ballistic-rated door assembly, the students are protected from tornados and severe weather. Second, by closing and locking the classroom doors from the inside, the students are protected from a school invasion by the doors and precast concrete walls. Safe room interior of education center and within parish offices. 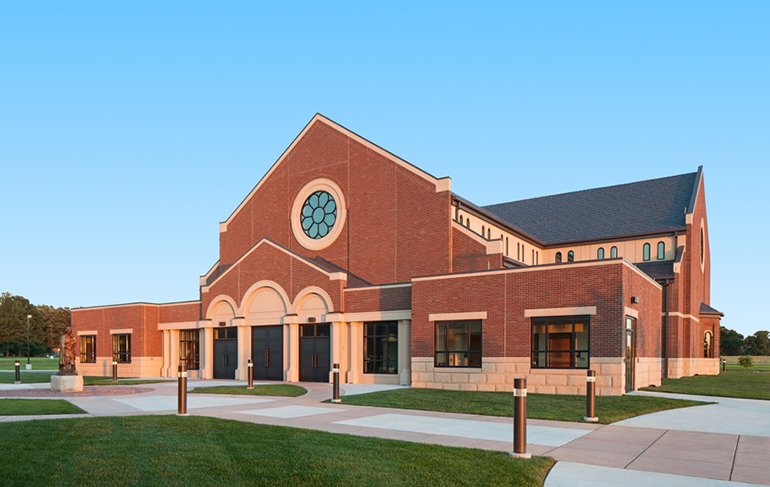 At St. Mary’s in Joplin, both a fellowship hall and educations space were needed, as well as included in construction costs, so upgrading them into shelter spaces added between $75-78 per square foot (in today’s dollars). At St. Mary Church and School in Joplin, the safe room begins as the students step out of their classrooms and into the interior corridor space. To pay for these additional costs, grant money is also sometimes available through FEMA or the state. As one might guess, there are usually strings attached. Some of these include a requirement to open your otherwise private facility to the general public if a storm approaches (no matter the time of day or night); additional paperwork and approval time with FEMA before breaking ground on construction; and the added costs of independent inspection of every structural element that will be part of the shelter. The eligible costs vary, but grants could be a substantial help to offset the added expense of adding a shelter. Severe weather is a very real part of life across the U.S., as recent events have shown us. We won’t always have the forewarning to make a decision about where to weather a storm, but fortunately, we have the tools to potentially avert a tragic occurrence, and to give a measure of earthly peace in our places dedicated to prayer and spiritual tranquility.